According to the Food and Agriculture Organization (FAO) of the United Nations, 30 to 40 percent of the world’s food production does not even make it to market, with roughly 1.3 billion tons of food – valued at more than $1 trillion – either wasted or lost. In some parts of the world, the consequences of such wastage can be stark. 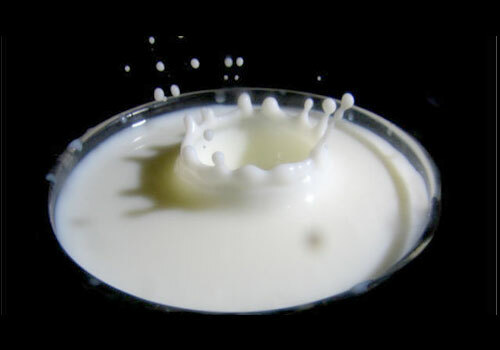 A 2014 report from the Institute of Mechanical Engineers states a lack of proper storage results in the loss of “up to 50 percent of fruit and vegetables” in Sub-Saharan Africa and India, while 25 percent of milk produced during Tanzania’s wet season is also wasted. 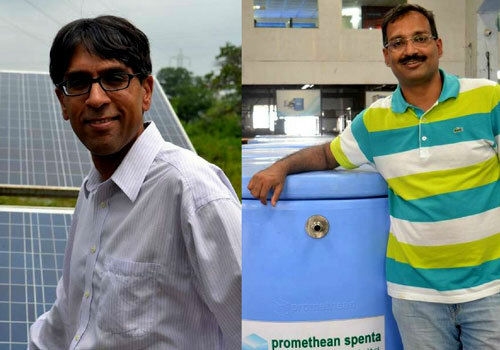 “Most Indian villages have grid power, they have electricity,” Sorin Grama, co-founder and CTO of Promethean Power Systems, told CNBC in a phone interview. “They’re not completely off grid, they just don’t have power 24 hours a day, they don’t have it when they need it,” he added. 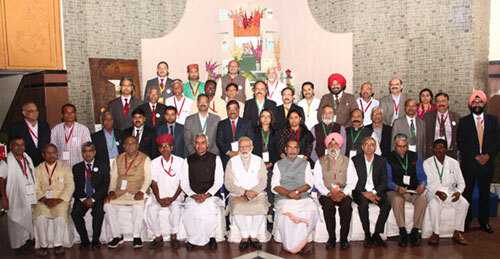 India is the world’s leading milk producer, with many of its people relying on milk as a primary source of income. 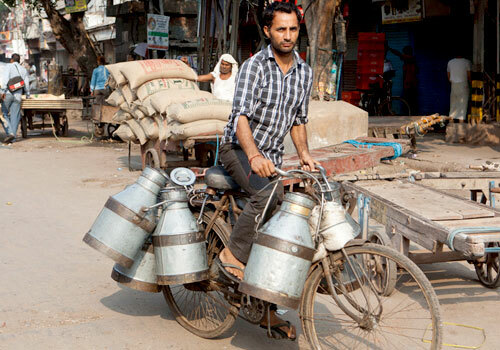 Indian dairies buy milk from local farmers at village collection centers, and then sell the milk or use it to make dairy products. Somerville, Mass. 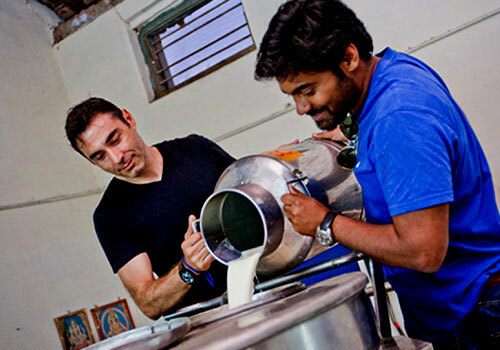 and Pune, India – July 6, 2015 – Millions of small farmers combine to help India produce more milk than any country on the planet, yet much of that spoils before ever reaching market. 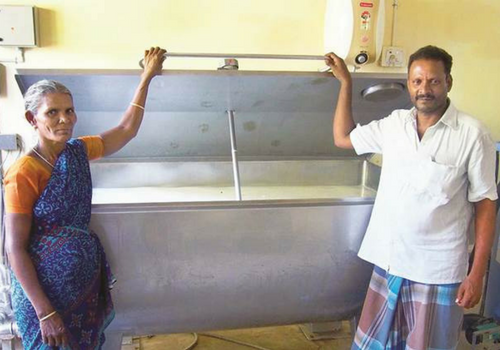 To mitigate the risk of wasted milk and food safety concerns, Promethean Power Systems, a manufacturer of thermal energy storage systems for refrigeration applications, has installed more than 2.5 MWh of distributed thermal energy storage in rural India with its latest village-level chilling system. 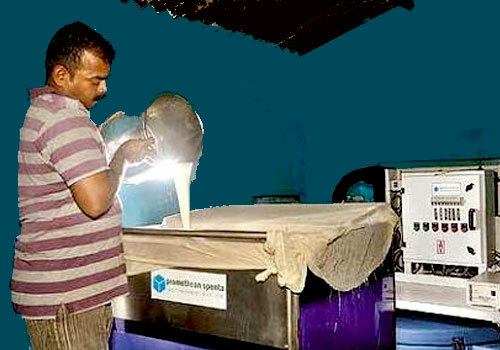 Many rural areas live with an electrical grid that is not available 24 hours a day, making milk refrigeration a rarity. In these conditions, refrigeration equipment requires a backup diesel generator, doubling the capital cost and tripling the operating cost. 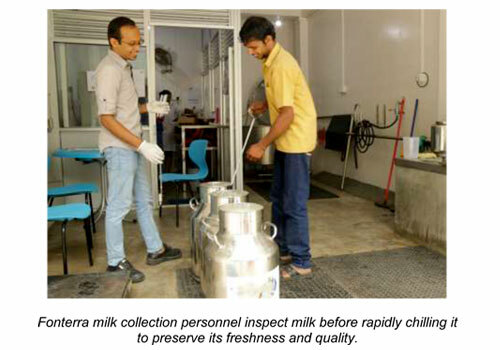 Due to the lack of proper refrigeration, a majority of India’s milk spoils or finds its way into consumer products at such low quality that it becomes a food safety threat. 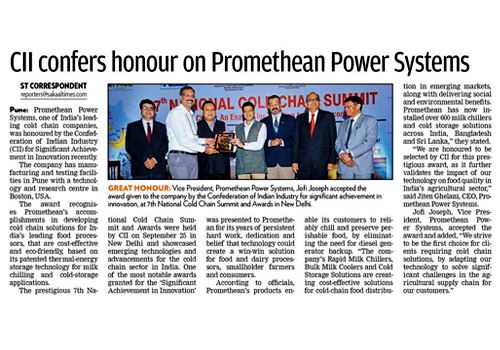 Promethean Power Systems solved this problem by developing an inexpensive and reliable thermal battery for providing grid backup. 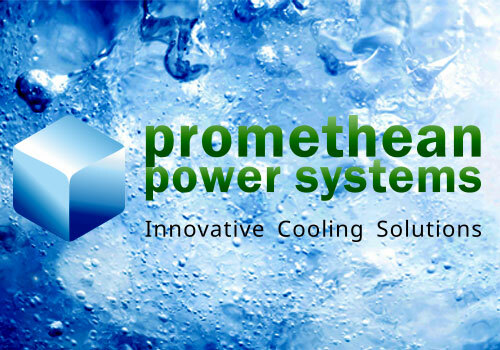 Promethean Power Systems’ thermal battery stores thermal energy in the few hours when the grid is available and releases the energy when needed to provide cooling power. 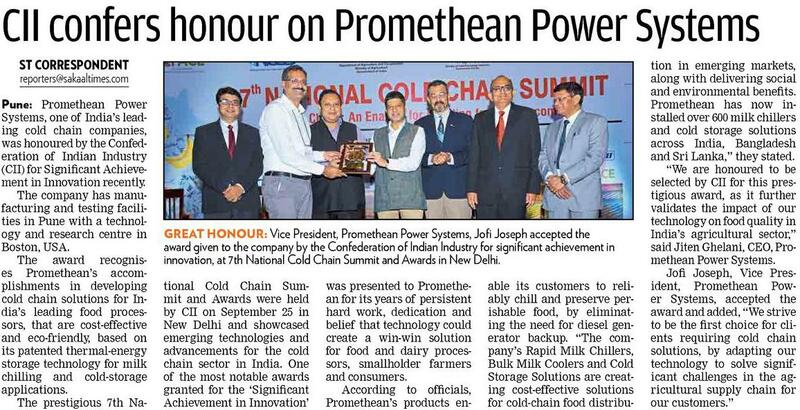 Promethean Power Systems manufactures a complete line of rural milk refrigeration systems based around its patent-pending thermal battery. 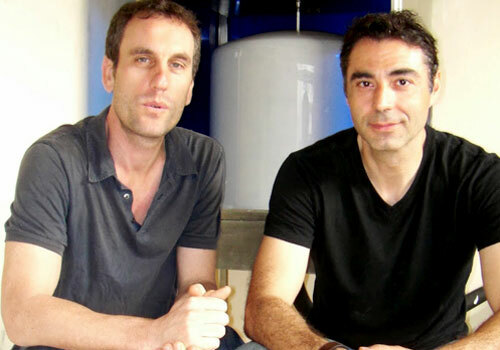 The thermal battery was developed with funds from the National Science Foundation, The Lemelson Foundation and a number of individual and institutional investors. 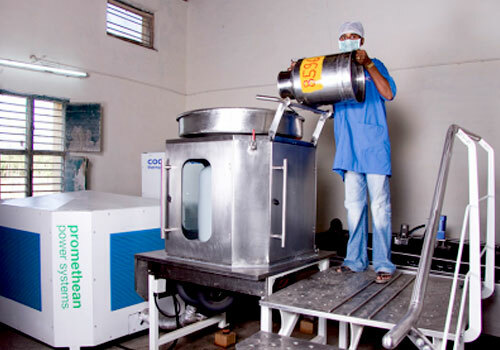 The Indian dairy industry is the first commercial application of the technology. To learn more about Promethean Power Systems, please visit www.promethean-power.com. 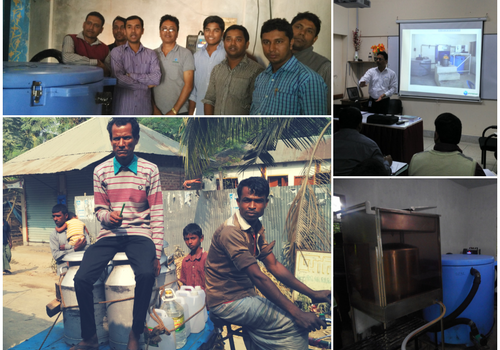 About Promethean Power Systems Promethean Power Systems is a privately-held technology company that develops and manufactures complete refrigeration systems for agricultural cold-chain in developing countries. 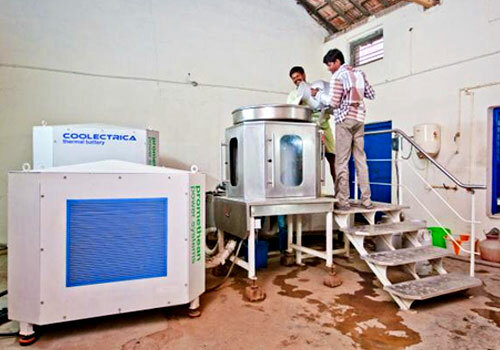 The company is headquartered in Somerville, MA at Greentown Labs, the country’s largest cleantech incubator, and manufactures the technology in Pune, India. For more information visit www.promethean-power.com or connect with Promethean Power Systems on Twitter. Up to 40% of food produced in the developing world is wasted before it reaches the market, according to figures from the UN’s Food and Agriculture Organisation (FAO). With the number of middle-class consumers predicted to rise to three billion by 2030, and the majority of that growth in developing countries, tackling this problem is no small feat – particularly as rising affluence in urban areas is likely to trigger a higher demand for richer diets and more complex food supply chains. Lack of access to cold chain technology and reliable energy sources are the major reasons for crops perishing after harvest, research by Nottingham University shows (pdf). The cost of delivering energy to remote, rural regions means that, even when storage facilities are built, they may nevertheless stand empty. 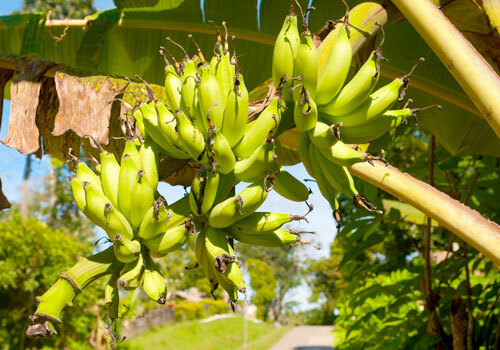 Poor transport infrastructure causes further losses, and a lack of education on post-harvest practices often results in poor quality control and food being damaged during handling.